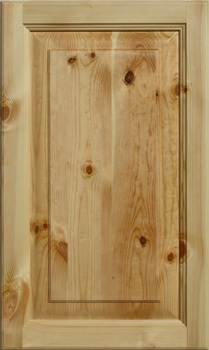 The Raw Baltic Pine Doors are manufactured made to measure from only the highest quality seasoned baltic pine. Door are available with a arched head. All edges and faces are finished sanded ready for staining and polishing. The doors are made to measure and manufactured in six different Door Designs with two edge profiles. Door centre panels are manufactured using a finger jointing method and the backs of the centre panels are flush with the ends, top and bottom rails. A complete range of Accessories are available including Cornice Mould, Corbels, Square Dressed Timbers, Solid Timber Bench Tops as well as Veneer Board. Drawer banks, breakfast bar panels, pantry doors and door frames are also available and can be manufactured with larger top and/or bottom rails and vertical rails. Disclaimer: Costa Group of Companies Pty Ltd maintains a constant program of product research and development and retains the right to change specifications without notice. It is recommended that the prospective purchaser ensure that this web site correctly identifies the products described herein. Costa Group retains all right to Patents and Trademarks. Warning: Legal proceedings may be taken against any person who infringes any rights in relation to the use of the Yesterday® or Yesterday's Collection™ name or logo, Registered Trademarks, trademarks and or Patents.